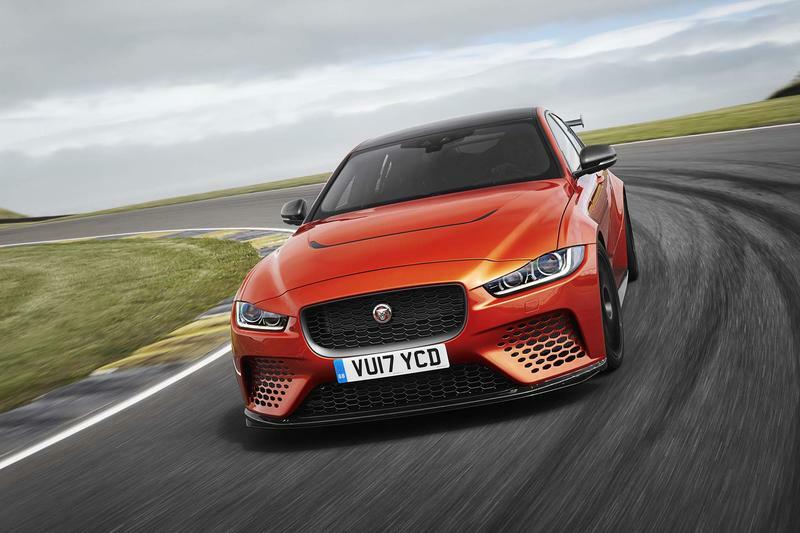 The 2018 Jaguar XE SV Project 8 is the brainchild of what a modded, more powerful XE looks like, and it is awesome. 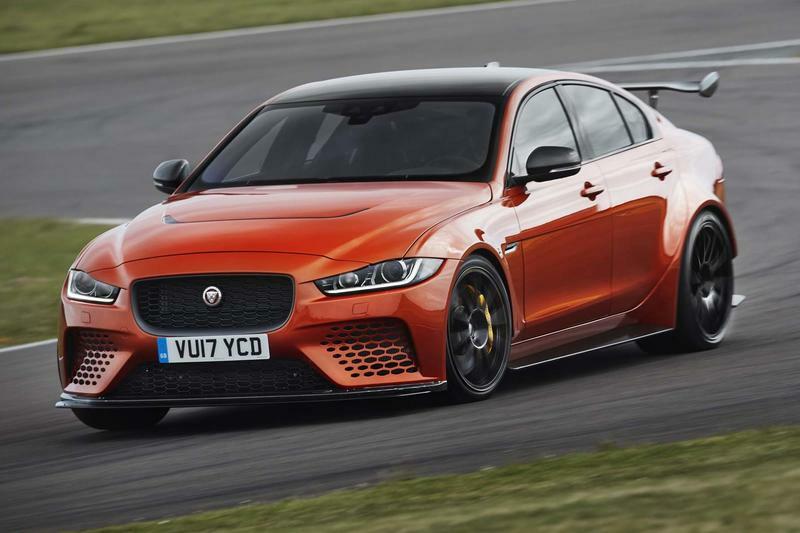 Jaguar has been showing off the Project 8 model that comes in the shell of a regular XE but is modified to look like a mean track car. It’s Jaguar’s most powerful car ever produced, capable of 591 horsepower, 516-pound foot torque and a top speed of 200 miles per hour. It will get you from point A to point B in a hurry with its beastly 5.0-liter supercharged V8 engine. 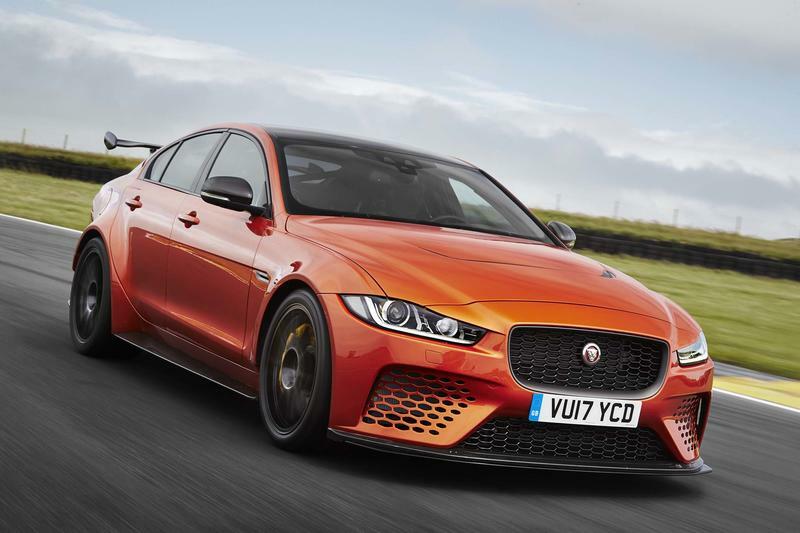 Packed inside the XE’s aluminum body shell, Jaguar made a few modifications to make the car look as mean as it drives. New fender flares increase the width of the car by 2.2-inches that makes room for bigger 305/30 tires on custom black 20-inch rims. The new wheels come with a 10-spoke pattern that shows off the yellow carbon ceramic brakes. 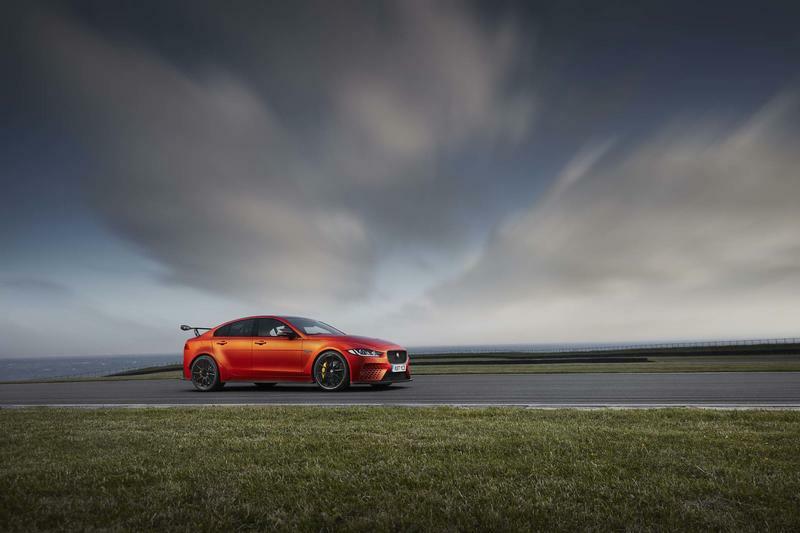 Jaguar also equipped the XE with a ton of other carbon fiber parts to decrease weight. The front bumper, front splitters, side skirts, rear bumper and rear diffuser all are made of carbon. 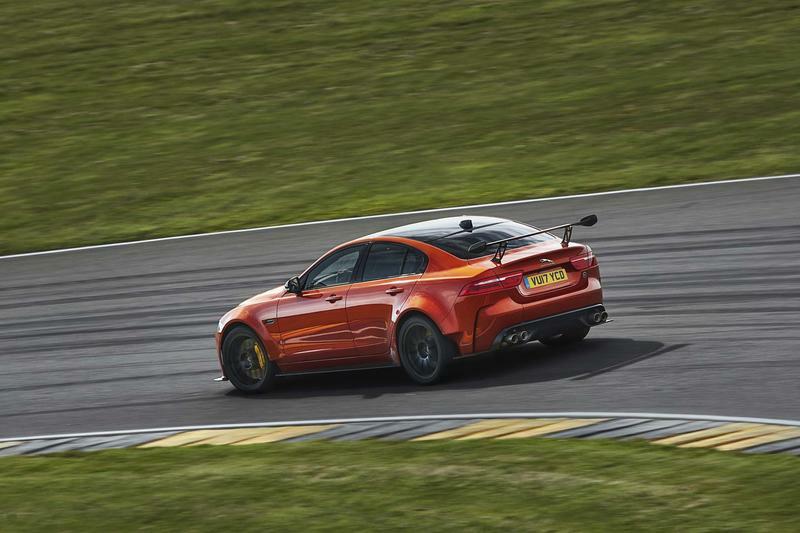 This brings the weight of the Project 8 to 3,847 pounds, the lightest V8 car Jaguar makes. 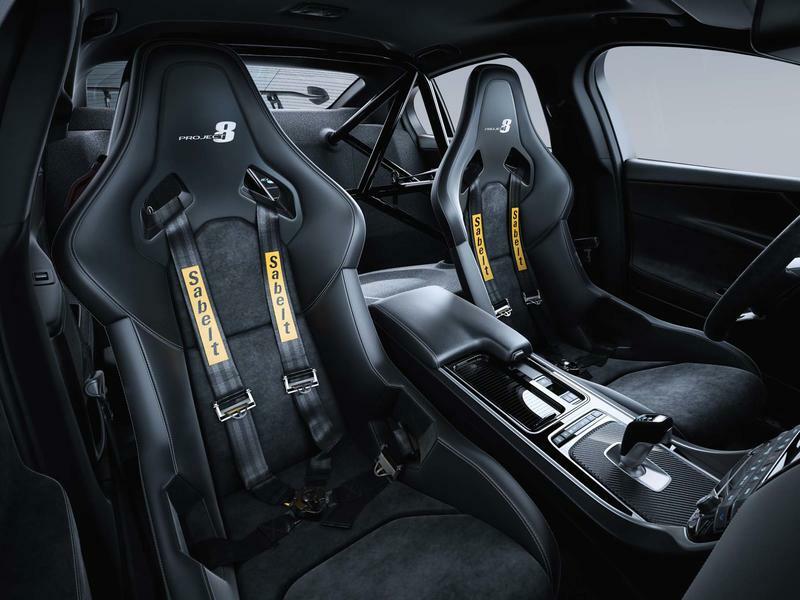 The roof is also made of carbon fiber to extract hot air and reduce pressure to improve its aerodynamic flow. 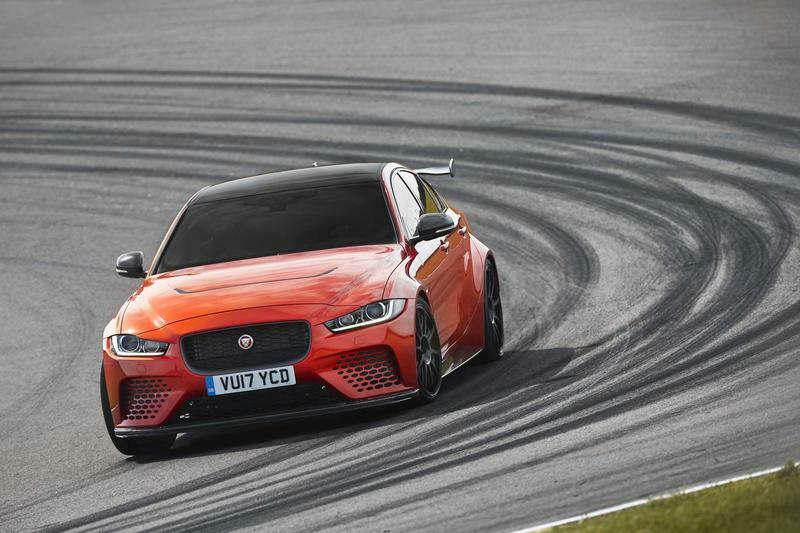 One of the more striking details of the Project 8 is the front bumper coated in a honeycomb finish beyond just the grill. This detail is incorporated into the air vent design on the bottom left and right that give it a sleek look. 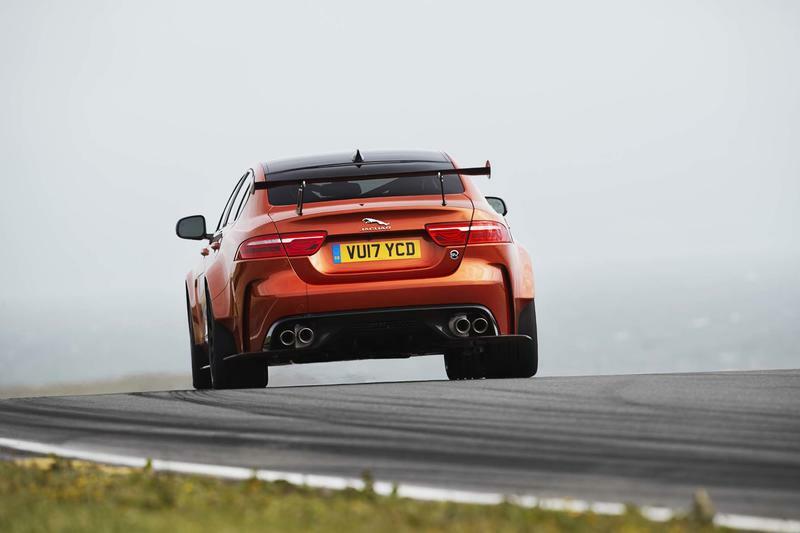 The powerful sedan also comes with a gaudy rear wing meant for aggressive track driving and giant 3.5-inch in diameter quad exhaust tailpipes. There’s no denying the Project 8 is a gorgeous car. 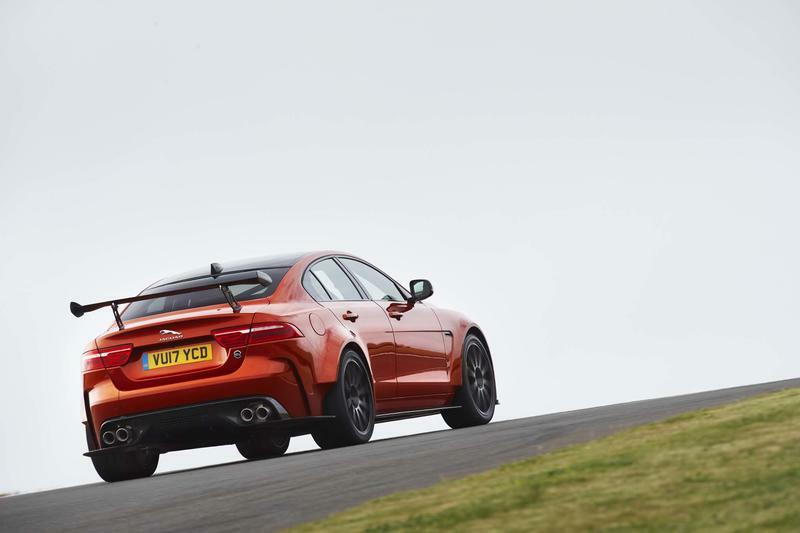 Jaguar is keeping production of it to a limited basis, only producing 300 units. It will also be on the expensive side. 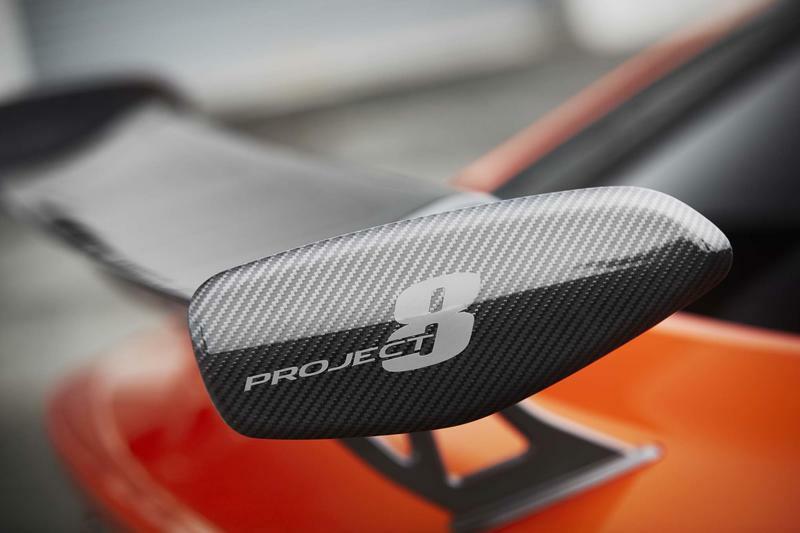 Price hasn’t been revealed yet for Project 8’s sold in America, but the version being sold in U.K. will be about $192,000.